The shortest month of the year is not short on new books that combine genres. 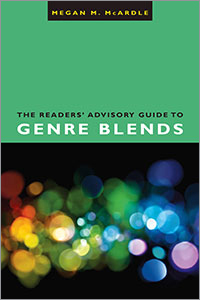 Gearing up for the spring publishing season, there are some great new blended titles coming our way in February. As always, I have tried to list the genres in the order os seeming importance to the story. For example, HISTORICAL/ROMANCE would be a mostly historical fiction novel with a romance, but ROMANCE/HISTORICAL is a romance novel with a historical setting. Make sense? Let’s round up February’s new blends!